This is my 365give member story. I am an outgoing lawyer, animal lover, vegan foodie, sports and fitness enthusiast from Mumbai, India. I signed up for the 100 days of running challenge with the Adidas Runners Mumbai on 28th April, 2018. Bijay Nair, an ex-army officer and runner suggested we add a larger purpose to this challenge, beyond running and ourselves. 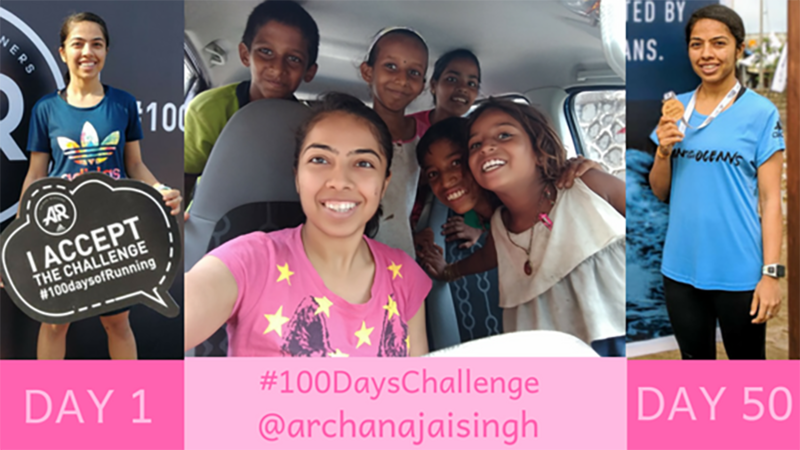 The first idea I got was 100 days of joy which led to the idea of 100 days of giving. 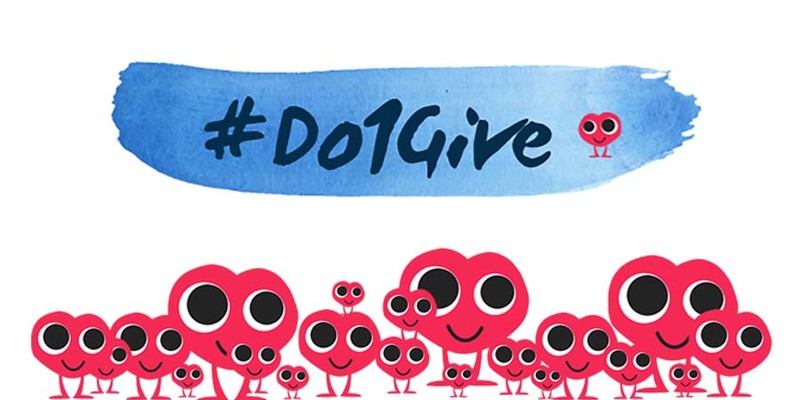 As what better way to spread happiness and feel joy than by giving. 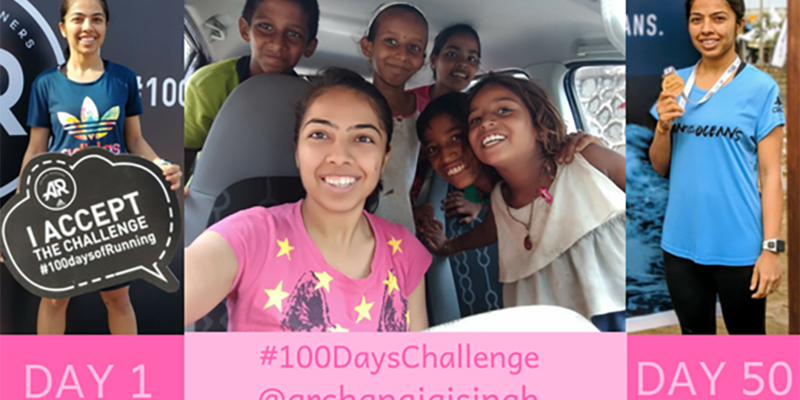 With the goal to complete 500 KMs and 100 different gives I started the 100 days challenge. I love being a 365give member and want to share my story with you. Half way through the challenge, the journey has been full of surprises. Each giving brings a new learning. I am sharing the experience of my top 10 gives yet. 1. Groceries- I gave groceries to Mary who sells flowers outside the temple. In return she gave me flowers and when I offered to pay she refused to accept money. I learnt that you don’t need to own a lot to give. 2. Drive and Ice cream- I took few street kids for a drive to grab a bite. All the kids insisted on Ice cream except one little boy named Kohinoor. He wanted a full meal as an ice-cream would not suffice to satisfy his hunger. Such sense of responsibility at about 8 years of age left me speechless. I learnt that your circumstances don’t define you, no matter where you are, you can shine! 3. Free Legal advice- Not everything in life is about money. A new volleyball group I joined offers free coaching to everyone. They needed assistance with trademark registration of their logo. 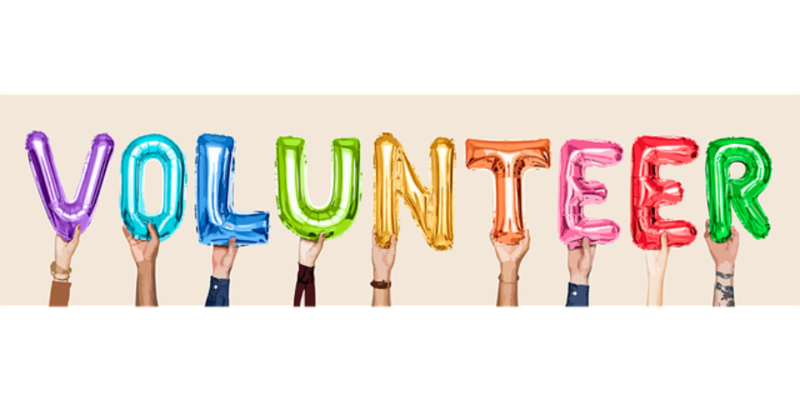 Some pro bono work by each of us in our respective fields can make a difference. 4. Good Day Biscuits- I met Mukesh and Prabhu, two small kids selling balloons. Instead of playing with friends, they had come to Mumbai to work during summer vacation. Yet they had the biggest smiles on their faces. I learnt to be grateful for everything I have. 5. Food to Labourers- I packed food to give to a group of people but they left before I reached. Wondering whom to give the food to, I came across labourers working on road construction. Things don’t always go as planned but things work out exactly the way they are supposed to and for the best. This is the lesson I learnt. 6. Books- Every child deserves education, unfortunately many kids drop out due to lack of resources. Having access to the best of schools we are often disinterested in studying. While some kids are enthusiastic about learning and eager to be independent. What we take for granted can be someone else’s dream. 7. Gratitude- I am thankful for and blessed with an amazing family. It is their support which has given me the confidence to try new things and follow my passions. 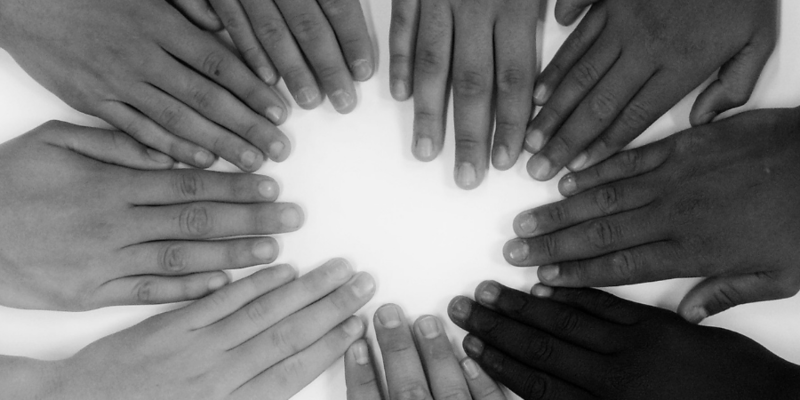 We always want the best for each other and support each other no matter what. I am grateful for everything they do for me and to have so many people who love and care so much always. 9. Organ donation- I pledged my organs and tissues. It gives hope and happiness to the recipients and their families. An opportunity to give even after being gone. 10. Run and Beach clean-up- I participated in a run organised to raise money for an Ocean Cleaning Program. Also cleaned the beach post the run. It was a reality check to see the magnitude of plastic on our beaches. It’s time we start respecting nature, refuse- reduce- reuse- recycle. Half way through the journey, feels like it has only just begun, there is a lot more to learn. I am humbled by the experiences and grateful for everything in life. It is through the grace of God that I have this opportunity to give, touch so many lives and spread absolute joy. Being a 365give member has more than changed my happiness, it has changed me.  Sign up for your 365give membership and become a 365give member just like me. It is free, and I love giving every day!